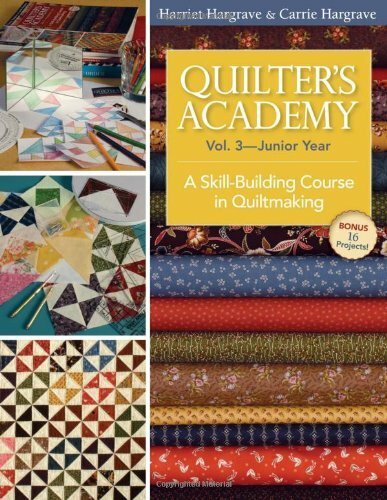 • Welcome to the 3rd volume in the Hargrave's popular quiltmaking series that takes you from the basics to complete mastery! Bonus 16 projects! You studied the fundamentals in Volume 1, then you built your design skills and worked with diagonal sets in Volume 2. Now you'll learn how to make a variety of triangle blocks with accuracy, precision and ease. Harriet and Carrie also share creative quilting ideas so you can beautifully complete your quilts. Must have had completion in QA 1 and QA2.